Could this Daryl figure be the final 5" scale Walking Dead product from McFarlane Toys? Much to the chagrin of many, many TWD collectors, chances are high that that's the case, but it's not definite quite yet. 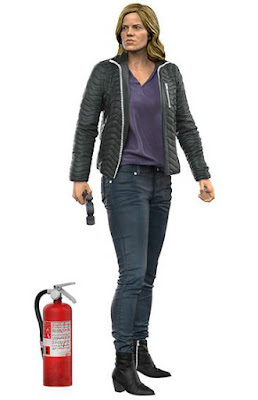 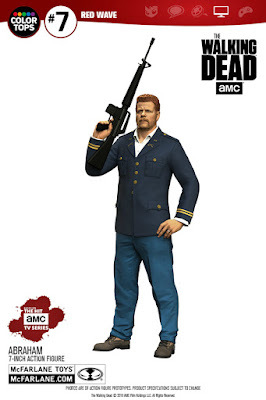 At the request of retailers, McFarlane of moving away from the smaller figures into larger 7" deluxe figures focusing more on recognizable character rather than filling out the line with the complete cast. 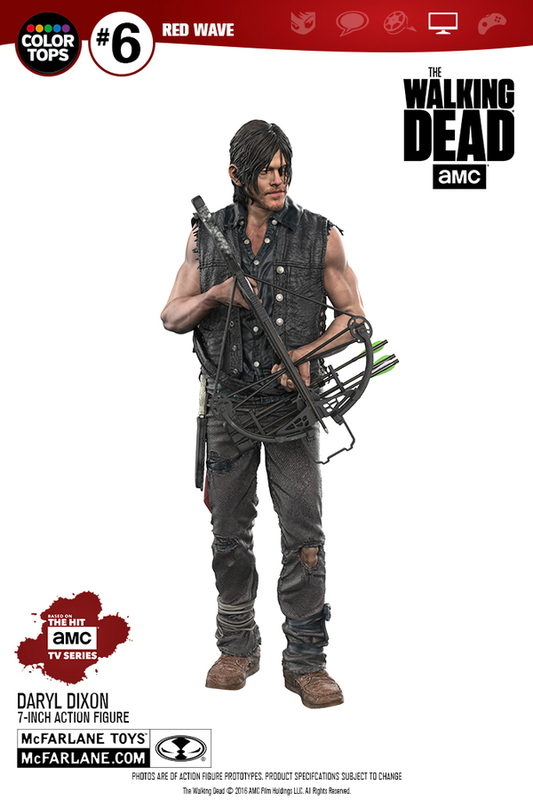 With Rick, Michonne and Travis already announced, McFarlane Toys is now giving us a look at who will be following them in the next wave. In September, you can look forward to a 7" Daryl, Abraham and Madison from Fear TWD. 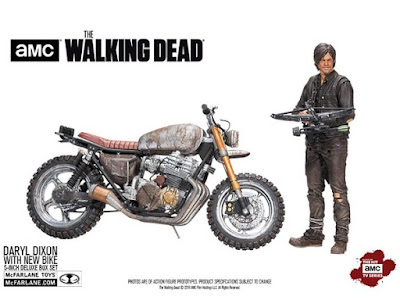 Daryl with his bike will be released in September for $34.99 and the 7" figure will retail for $19.99 each.